Around one in four relationships start online now, and among the millennial generation, the number is likely to be even higher. But as our smartphones become increasingly powerful, fewer of us are dating from behind our desktops, rather turning to the digital devices in our pockets. The stigma that was once attached to online dating has well and truly disappeared – in fact, you’re more likely to raise eyebrows if you’re single and not on any dating apps. Recent years have seen an explosion of dating apps, and there seem to be incredibly niche ones launching every day. If you wear glasses or are into people who do, try Spex, for example. Have a particular passion for men with beards? Bristlr could be the one for you. 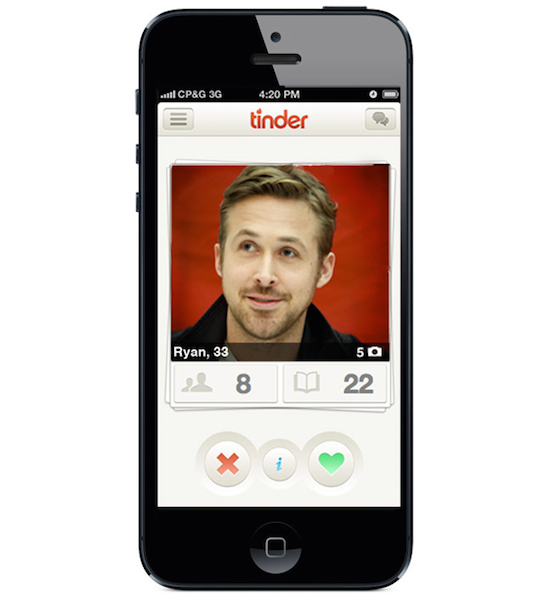 Possibly the best-known dating app of them all, Tinder is most people’s first port-of-call when entering the world of dating apps. It’s super quick to join – you simply upload some photos and an optional bio, set your age and distance preferences, and away you go, swiping left or right on potential suitors. As one of the most popular apps, your pool is likely to be huge and people do actually have conversations on Tinder – in our experience, it’s the app that leads to the most actual dates too. However there are also plenty of people using Tinder just for hook-ups. You can pay money for premium features including Tinder Passport (the ability to swipe through matches elsewhere in the world, say, before a trip) and Rewind, for those times when you swipe left too hastily and immediately regret it. Bumble is much like Tinder but with one key difference: only women can start the conversations after a match is made. The idea behind it is to save women from receiving leering advances or cringey chat-up lines from men, and it also takes the pressure off guys to start conversations. There’s a twist though: after you match, you only have 24 hours to start the conversation, otherwise, he’ll disappear forever. Similarly, your match only has 24 hours to reply – if he does though, the time limit disappears for future messages. The trouble with this is that sometimes you just don’t have time to go on Bumble for over 24 hours, thus potentially missing out on your soul mate. 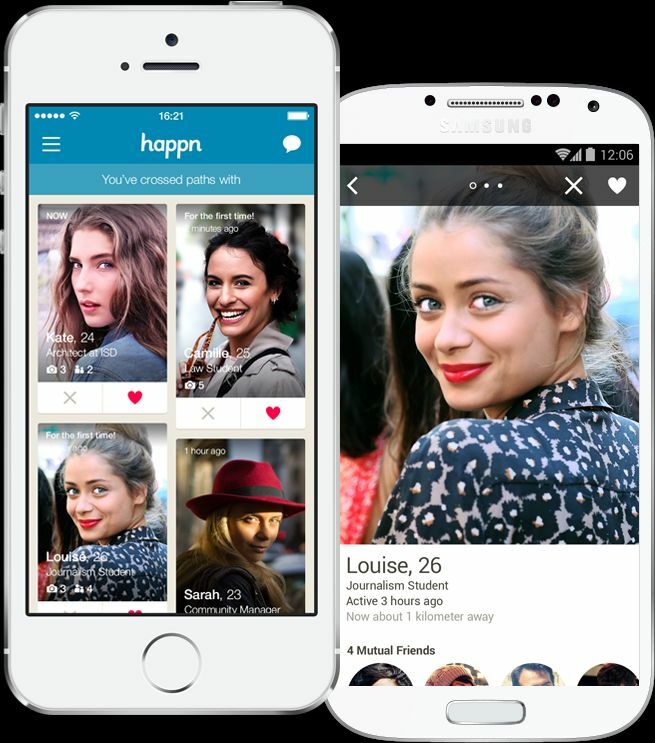 Happn shows you singles with whom you’ve crossed paths. You create your profile on Facebook and can also link your Instagram and Spotify accounts if you like, set your preferences, then scroll down through your options. The people you’ve crossed paths with most recently will be at the top, meaning if you go on during your lunch-break you’ll inevitably happen upon your colleagues. The app also tells you how many times you’ve crossed paths with each person, meaning you quickly learn who your neighbours are (we have in the past recognised a man in my street and been unable to place him before realising we’d seen him on Bumble and we’d crossed paths 167 times). Unfortunately, there’s no way of searching by time or location so if you don’t go on the app straight away you may never be able to find that cute girl from Pret – in a big city you cross paths with so many people every day, so Happn can be a bit overwhelming. Match feels like a step-up from the more casual dating apps in that the sign-up process takes a while and membership isn’t free – £29.99 for one month seems expensive, but the price per month decreases significantly if you sign up for longer (if you sign up for six months, it equates to £12.99 a month). Perhaps because they’re paying, people on the app definitely treat it more seriously. We noticed both a different type of person and questions on Match compared to the likes of Tinder and Bumble. This is an app for people really looking for relationships. The app is easy to use but we personally found the number of messages, winks, views and favourites we received overwhelming. 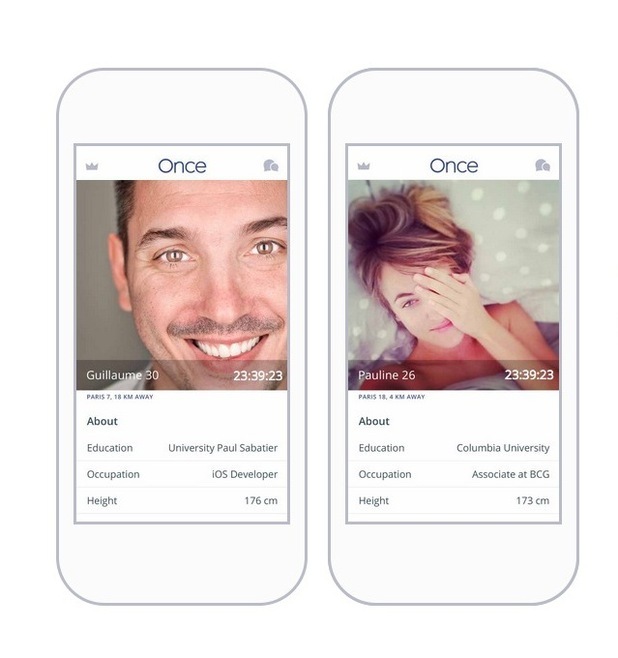 The idea behind Once is to move away from today’s dating app culture and back towards traditional match-making – after a computer does the initial whittling down, real human match-makers pick a personalised match for each user every day. It’s meant to save time and free singles from hours of swiping (although to be fair that it half the fun for many of us), hence the name Once. Despite this, every day at noon, our phone pings with a message saying “Wow! You got 4 matches today!” Every day. Extra dedicated users can spend money and even exchange messages with a match-maker too. Despite supposedly learning our tastes, we didn’t find our matches particularly great and because you get so few a day, it can be a rather long journey to finding someone you actually want to talk to, let alone go out with. Hinge has a slick design and is meant to be for people who are over games and being treated like a “playing card”. You’re asked to put in lots of details (including your height, which is rare) in order to create your “story” – for example, what you’re watching, what you spend most of your money on or how you’d describe yourself in three emoji. You can then “like” different aspects of someone’s story, be that a picture or one of their answers – you only get a handful of likes a day though. It made a nice change to have lots of information about people including little quirky details. The app claims to learn your tastes too, although it seems rare to start conversations. It’s only available on iOS so far, but is coming to Android soon. Like most apps, signing in with Facebook makes it very easy and quick to set up a profile. The unique thing about Huggle is that you pick (initially five of) your favourite places – be they shops, restaurants or parks – and then find people who go there too. It’s all about location, but you can’t add more places to your list until you’ve visited them. However, if your potential suitors have previously checked-in on Facebook to the same places as you, that will appear on their profiles. 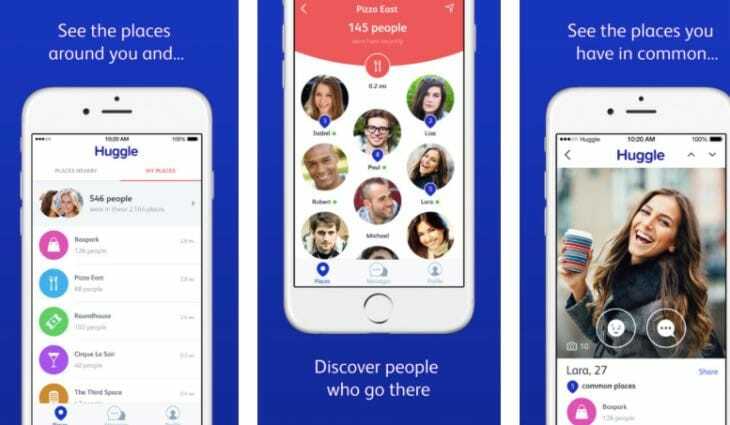 With Huggle, there’s just as much focus on finding friends as dates, but whether anyone actually uses it for friendship, we’re not sure. 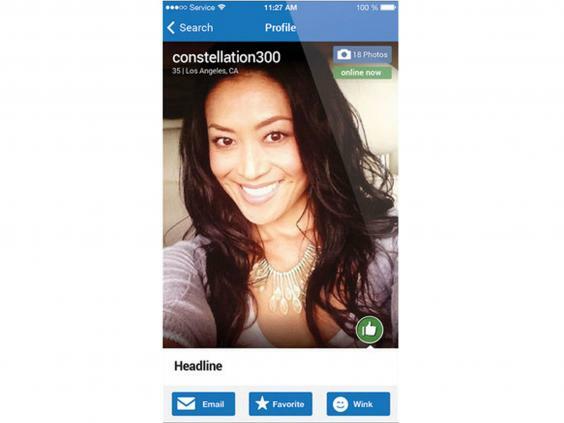 When signing up, you have to verify your profile in one of various ways, for example by sending a selfie mimicking a certain pose, which hopefully limits scammers too.